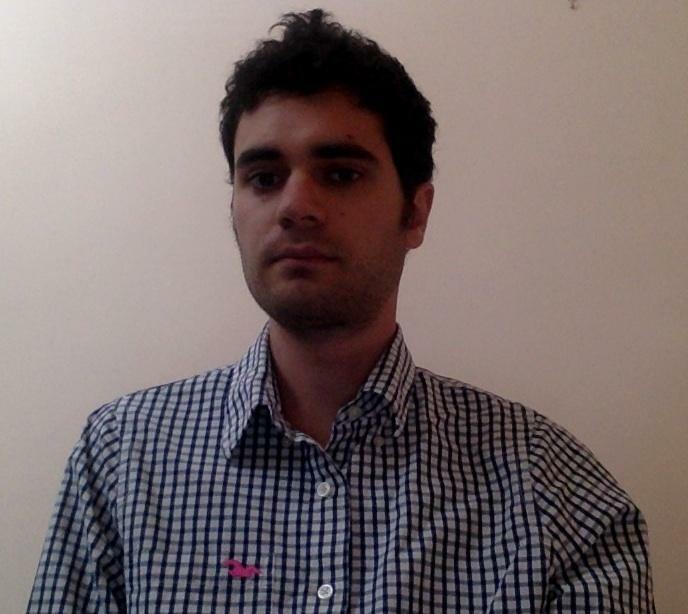 I am a PhD student in Biophysical Science at Scuola Normale Superiore in Pisa. 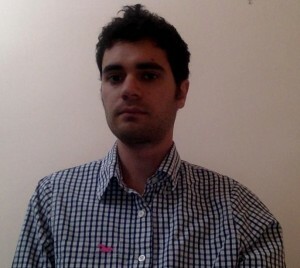 I attended my master degree at University of Pisa in Molecular Biotechnology and after I won a 1 year scholarship at CNR-Nano Institute in Pisa, at NEST laboratories. My research topic is focused on the effect of a rare genetic disease, called Hutchinson-Gilford syndrome (HGPS), also called Progeria, which causes a misassembly of the Nuclear Lamina, on tissue culture cells expressing the gene related to the pathology. I studied both the effect on nucleocytoplasmic transport and chromatin compaction in cells expressing progerin (the defective protein responsible of the disease) by means of confocal microscopy technique such as FRAP, FCS and FLIM. During this year I published a paper about chromatin compaction in cell nuclei affected by Progeria. I studied, by means of a molecular rotor capable of an interaction with DNA and FLIM phasor approach the viscosity in different intracellular domains, comparing HGPS cells with control cells. The results show that the nucleoplasm of HGPS cells display reduced viscosity as compared to normal cells. We hypothesize that genetic features of HGPS modulates chromatin compaction. 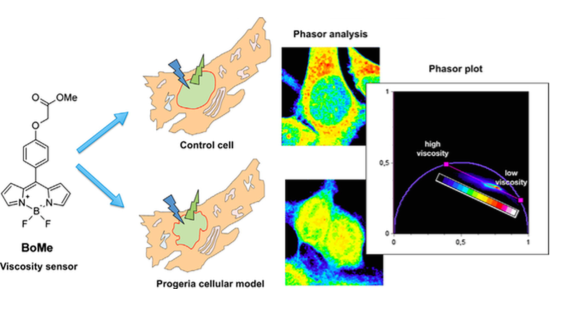 “Organization of inner cellular components as reported by a viscosity-sensitive fluorescent Bodipy probe suitable for phasor approach to FLIM “ Ferri G, Nucara L, Biver T, Battisti A, Signore G, Bizzarri R. Biophys Chem. 2015 Jun 21. pii: S0301-4622(15)30013-2. doi: 10.1016/j.bpc.2015.06.009.